From fine-dining to family-style restaurants, different styles of cuisine is available for everyone in Steamboat Springs. After a long day of skiing the iconic Champagne Powder, or exploring downtown Steamboat, it can be hard to decide on where to eat. As locals, we wanted to provide some recommendations to help you pick the perfect restaurant for a memorable night out on the town. Restaurants that are kid-friendly are few and far between. 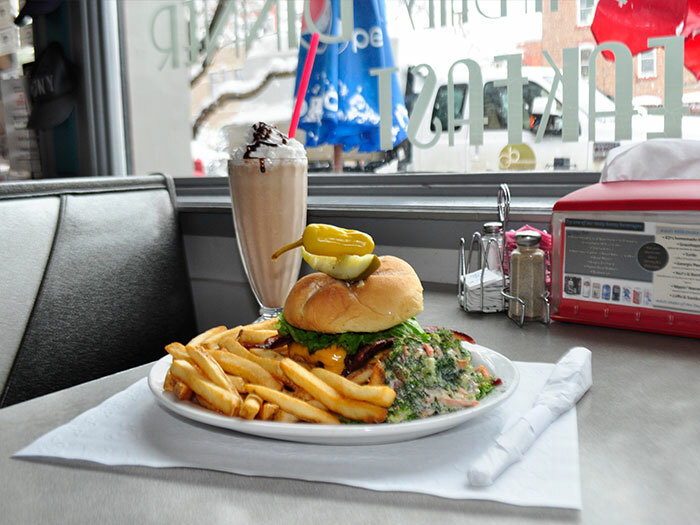 Two recommendations to take families are Jonny B Good’s Diner and Rex’s American Grill & BBQ. is a great fifties-themed American diner in the heart of Steamboat. From fantastic melts and burgers to country fried steak, Jonny B’s has great food no matter what time of day. They also have a full bar along with a 50’s-style soda fountain, plenty of seating for the whole family and a fantastic kid's menu. Rex’s American Grill & Bar is the place if you are looking for something close to the mountain but not on the resort. With a fantastic happy hour and amazing customer service, you can't go wrong. They offer a casual sit down experience with an amazing menu filled with dishes that remind you of home. At Rex’s, you can also reserve a room for a group event or even a private dining space. When you are in Steamboat Springs for a ski vacation it is important to fuel up for the day. Therefore, when it comes to breakfast Steamboat has a great selection of delicious restaurants. Two recommendations are Gondola Pub & Grill and Creekside Cafe. 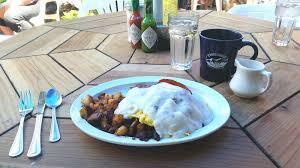 Local’s favorite, Creekside Cafe offers gourmet breakfast and brunch items served up with fresh, local ingredients. We recommend ordering the iconic Barn Burner sandwich, or the oatmeal pancakes with 100% maple syrup. With a fantastic downtown location, this restaurant is easy to get to with plenty of parking but get there early as Creekside on the weekends can be busy. At the resort and want a quick bite before you ski/ride? Gondola Pub & Grill offers a full menu or grab-and-go items. Their menu is filled with items that make you feel right at home. For more recommendations and tips for skiing on a powder day check out our local’s guide to a Steamboat powder day. Need quaint and private dining for a celebration or date? We recommend Aurum Food & Wine, a fine-dining restaurant located on Yampa street away from the crowds and bar scene. Here you will find a unique American cuisine food selection and a fantastic wine and drink list. The food matched with the outstanding customer service with leave you with a night that you will not forget. 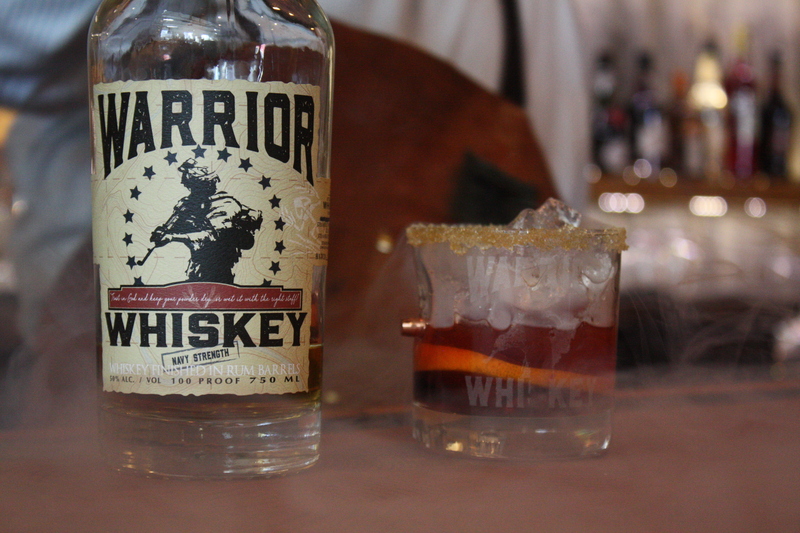 Another local favorite for a quiet, sit down restaurant is the Steamboat Whiskey Company, offering handcrafted whiskey and specialty cocktails that are distilled and created here in Steamboat Springs. Find a table and enjoy a relaxing night with your significant other or friends. Enjoy the pleasantry of the staff, as well as the amazing appetizer menu of small plates that pair well with any of their craft cocktails. Need a place to stay while you are in Steamboat? Stay at one of our vacation rentals located on the mountain, or downtown.